Start off your visit on the 27th (Thu): stroll through Sarkanniemi Theme Park. On your second day here, enjoy breathtaking views from Pyynikki Park and Observation Tower, then soothe aching muscles at some of the top local wellness centers, then see the interesting displays at Vapriikin Museokeskus, and finally take in the spiritual surroundings of Tampere Cathedral. To see photos, traveler tips, other places to visit, and other tourist information, use the Tampere travel route site . San Diego, USA to Tampere is an approximately 23.5-hour flight. The time zone difference when traveling from San Diego to Tampere is 10 hours. Expect slightly colder temperatures when traveling from San Diego in June; daily highs in Tampere reach 64°F and lows reach 46°F. Wrap up your sightseeing on the 28th (Fri) to allow time to take a train to Kuopio. Kuopio is a city and a municipality located in the region of Northern Savonia, Finland. On the 29th (Sat), enjoy breathtaking views from Puijo Tower, then examine the collection at Kulttuurihistoriallinen Museo, then examine the collection at Kuopion Korttelimuseo, and finally contemplate the waterfront views at Valkeisenlampi. On your second day here, ponder the world of politics at Kuopio Market City Hall, test your team's savvy at popular escape rooms, admire the natural beauty at Snellman Park, then pause for some serene contemplation at St. Nikolaos Cathedral, and finally enjoy some diversion at Vainolanniemi. For photos, reviews, maps, and tourist information, refer to the Kuopio trip planner . Getting from Tampere to Kuopio by train takes about 3.5 hours. Other options: drive; or do a combination of train and flight. In June, daytime highs in Kuopio are 64°F, while nighttime lows are 50°F. Finish your sightseeing early on the 30th (Sun) so you can travel to Joensuu. Joensuu is a city and municipality in North Karelia in the province of Eastern Finland. On the 1st (Mon), see the interesting displays at Pohjois-Karjalan museo Hilma, stop by Taitokortteli, then take in nature's colorful creations at Botania - Botanical Garden and Tropical Butterfly Garden, and finally contemplate in the serene atmosphere at Pyhan Nikolaoksen kirkko. To see photos, ratings, reviews, and other tourist information, read our Joensuu sightseeing website . Drive from Kuopio to Joensuu in 2 hours. In June, daytime highs in Joensuu are 65°F, while nighttime lows are 48°F. 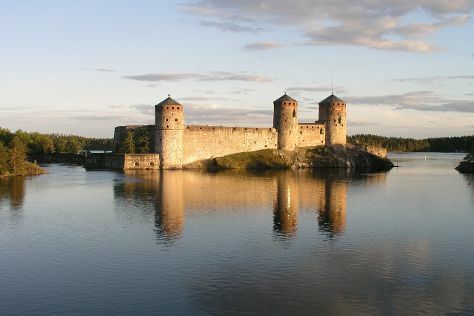 Wrap up your sightseeing on the 1st (Mon) early enough to travel to Savonlinna. On the 2nd (Tue), pause for some photo ops at Olavinlinnan Musta Passi, see the interesting displays at Savonlinna Provincial Museum, explore the historical opulence of Olavinlinna Castle, take in the architecture and atmosphere at Pikkukirkko, then look for gifts at Taito Shop Savonlinna, and finally explore the historical opulence of Savonlinna Cathedral. To find ratings, maps, reviews, and tourist information, refer to the Savonlinna route planning tool . You can drive from Joensuu to Savonlinna in 2 hours. In July, daily temperatures in Savonlinna can reach 69°F, while at night they dip to 53°F. Finish your sightseeing early on the 2nd (Tue) so you can drive to Lappeenranta. On the 3rd (Wed), don't miss a visit to Sandcastle Lappeenranta, see the interesting displays at Lappeenranta Fortress, then pause for some serene contemplation at Church of the Intercession of the Mother of God, then take in the architecture and atmosphere at Nuijamaa Church, and finally contemplate the waterfront views at Saimaa Canal. To find ratings, where to stay, and tourist information, read our Lappeenranta travel itinerary planner. Traveling by car from Savonlinna to Lappeenranta takes 2.5 hours. Alternatively, you can take a train; or take a bus. July in Lappeenranta sees daily highs of 70°F and lows of 55°F at night. 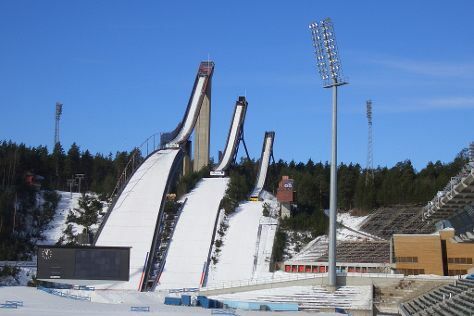 Wrap up your sightseeing on the 3rd (Wed) to allow time to take a train to Lahti. Lahti is a city and municipality in Finland.Lahti is the capital of the Päijänne Tavastia region. 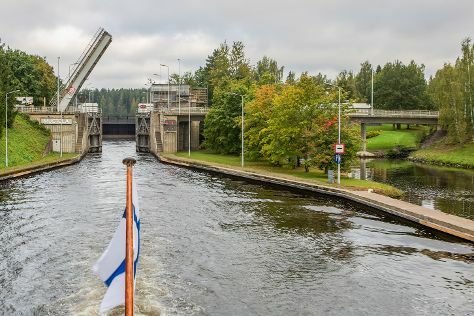 Start off your visit on the 4th (Thu): enjoy some diversion at Lahti Sports Center, ponder the design of Musical Fountain, and then take in the waterfront at Vesijärvi harbor. To find traveler tips, reviews, other places to visit, and other tourist information, use the Lahti day trip website . Getting from Lappeenranta to Lahti by train takes about 1.5 hours. Other options: drive; or take a bus. July in Lahti sees daily highs of 70°F and lows of 55°F at night. Wrap up your sightseeing on the 4th (Thu) to allow time to travel back home.